Scott Daniel Design, a Brooklyn-based studio headed by artist Scott Daniel Strickstein, offers contemporary lighting and furniture celebrated for its highly textural surfaces. 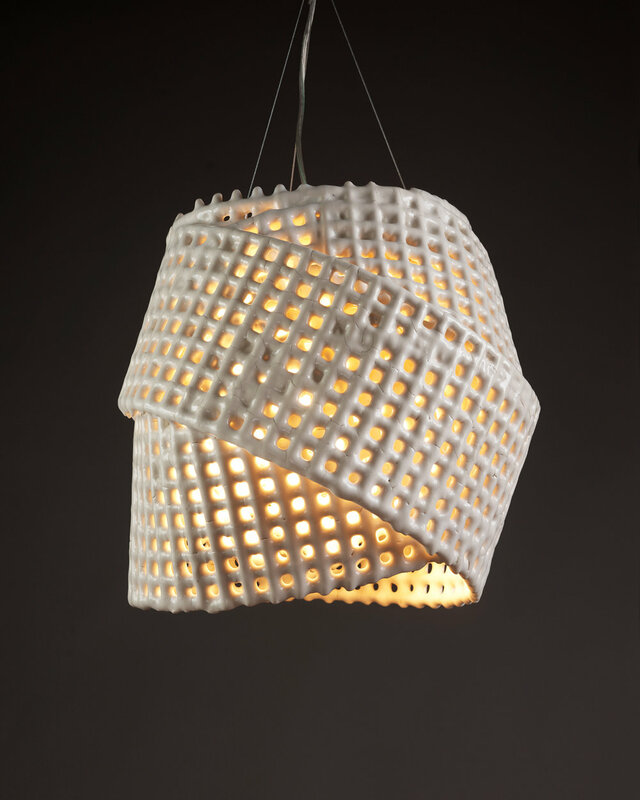 Strickstein is best known for innovating Cmesh™, a ceramic-coated metal mesh – inspired by the medieval concept of alchemy– that can be sculpted and draped, yet remains perforated to emit light. His collection features table and floor lamps, accent tables, sconces and wall installations made from Cmesh™, along with a line of handcrafted lamps, seating and decorative bowls made from traditional ceramics, wood and metal. Strickstein chooses sensual materials that inspire tactile interaction. His signature balances the inherent imperfections of organic elements with the precision of machined components. The malleability of Cmesh™ imbues the pieces with a lighthearted sense of motion. Born in Detroit, Strickstein spent his youth puzzling over blueprints during visits to construction sites with his father and watching his mother design and make clothing for the apparel industry. While attending Michigan’s Cranbrook Schools, he took an elective in ceramics and was immediately fascinated by manipulating a material that could respond to touch. He later earned a B.A. in political theory at Michigan State University, and then returned to art, attaining his B.F.A. in studio craft from the College for Creative Studies in Detroit. After moving to New York, he found work at the boutique furniture showroom Chista. Quickly rising to company manager, he gained experience over the next six years developing custom projects with high end residential and hospitality designers.